Sarah Lancashire as Catherine Cawood. Sally Wainwright’s brilliant script matched, yet again, by Sarah’s work on screen. 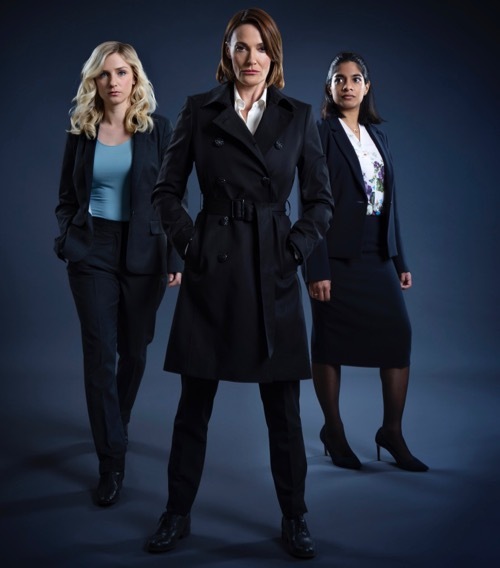 In a series reminding us that Sally’s writing CV includes dramas like Unforgiven, as well as Last Tango In Halifax, Scott and Bailey and At Home With The Braithwaites. Back in March I attended the London launch of this six-part drama, followed by a Q&A. A few hours later I wrote the story further down this page, which has not gone online – so best put that right now.